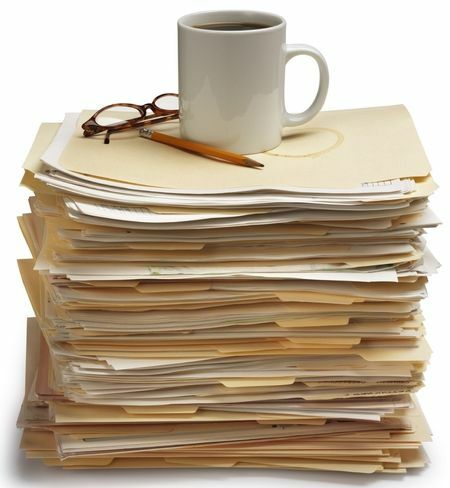 When managing a company, it is important to securely manage all the documents created by you or your staff. Most small and medium-sized enterprises work with several computers that store different files. Usually, they are accessed by a number of staff to change or update them or create new datasets. These processes take place several times a day in larger companies. 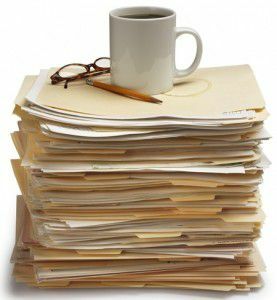 A number of staff work with the documents and need to manage them and make sure that they can be accessed at all times. The work involved can be considerable. Difficulties arise when parts of the company are located on different sites and staff require documents stored on a hard disk they cannot access. In a case like this, the information would need to be copied laboriously to another site. You would also need to assign an employee to take care of ongoing backups to make sure that nothing is lost. Do yourself a favour and avoid this situation. Use a virtual data room and transfer your vital documents into the internet – encrypted, of course. An online data room provides many advantages, saves you time and you no longer have to back up your data. The virtual data room provides many advantages. You can store, manage and archive documents there when permanent access is no longer required. Opt for the virtual data room docurex® and benefit from a very easy-to-use interface. Collect all of your company’s documents online and store them there in files and folders. Save all the files you need to manage your company in a secure environment. You can access them from any computer connected to the internet, as well as from your smartphone or tablet. Authorise certain staff to view particular folders and prevent other staff from doing so. If you manage a company with several sites, convenient access via the internet is especially useful. The same is true for companies with several departments that each maintain their own backup systems. Documents never have to be copied from one place to another again. The information stored in folders and directories is always up to date. If an employee changes a piece of information and stores it in the docurex® Data Room, a colleague at another location (which might be anywhere in the world) can access the updated information instantly. The docurex® Data Room features an intuitive interface. Unauthorised access is not possible, as the system utilises multiple layers of security. If you work in sales or intend to acquire or merge with another company, the docurex® Data Room is the best choice for collecting all documents, folders and records in one place. Regardless of where you are in the world, you can retrieve vital information from the data room or deposit it there any time of the day. This is especially useful when company sites are in different time zones. You do not have to wait for an employee to provide you with the important documents during their working hours. Every authorised user can enter data, regardless of their location, time zone or day of the week, and access and change documents independently. This represents a major advantage, particularly during a merger. A further benefit is the extremely secure storage of your documents. The docurex® Data Room boasts a multi-layer security system. Data is transferred with secure encryption preventing an unauthorised person from logging into your system or intercepting information during transmission. You also benefit from markedly enhanced data security. When you use a virtual data room like the docurex® Data Room, you no longer have to back up your data. If your data is stored on hard drives you are responsible for ensuring regular backups. By contrast, no documents are lost in the virtual data room. Yet another advantage of the docurex® Data Room is that it is easy and intuitive to use. Your staff do not need to be experts at working with a document management system, nor do they need special training. The virtual data room functions like a file manager, and its operation is self-explanatory. You can operate the system with any browser, irrespective of your operating system. There is no need to install separate software on your computer. All established file formats are supported. You can save documents from Office suites as easily as PDF files and documents from other applications. An intelligent search function ensures that you quickly find the right document, even in large datasets. In addition, each transaction an employee undertakes is entered into a log that cannot be edited. This provides you with an excellent overview of which changes were made and when. Of course you can easily export all documents from the virtual data room. For example, you can also store the documents on an external drive and use it in a location that does not have internet access, such as on a plane. If a company is going to be sold or merged with another company, all documents distributed among the various sites must be collected, sorted and prepared. These documents also have to be stored safely, to prevent access by outsiders or unauthorised staff. The docurex® Data Room is destined for this task. As part of the consolidation of documents, referred to as due diligence, the virtual data room is ideal for preparing and providing documents at different sites. Analyses can be created easily and documents, folders and important records accessed from any location. It is also possible to merge customer databases and share additional confidential information in a way that is both simple and secure. All persons entrusted with the sale or acquisition of a company have secure access to the documents collected in the virtual data room at all times. Documents can be reconciled and merged, and viewed around the clock. It couldn’t be easier. If major companies with extensive real estate portfolios and a large number of investments are being sold, the inventories can be compiled in the data room to help create a clear analysis whenever needed. The virtual data room has a wide range of applications and is extremely flexible. Over the years, small and large companies alike accumulate numerous documents they need to retain. The law sometimes stipulates retention periods of ten years or more when invoices, contracts or inventories are involved. Transfer all contracts, invoices, receipts and documents to the virtual data room. Tag them so that they can be rapidly found using the convenient search function. Create folders for each year or month, thereby setting up your very own structure. There is no limit to the number of documents you can store in the virtual data room. Scan each document and store it safely. Define individual access and benefit from the security mechanisms. Your data will never be lost and remains accessible at all times. You can try out docurex® free of charge and without obligation for 14 days. See for yourself how powerful this software is. We look forward to your call.